Russia’s largest carrier Aeroflot has plans to double the size of its original order for Airbus A350-900 widebody airliners, bringing the figure up to 28, Bloomberg reports. In an interview with the news agency, Aeroflot’s Deputy General Director Giorgio Callegari mentioned that the decision had been taken at a Board of Directors meeting in May. Callegari said the airline was working to detail the new order, including with regard to the cabin layout choice, lease period, and total cost. The order’s estimated value in catalog prices stands at $8.7 billion, but manufacturers usually offer discounts. Aeroflot originally ordered 22 A350s, including 14 aircraft in the -900 version and eight in the less spacious -800 modification. 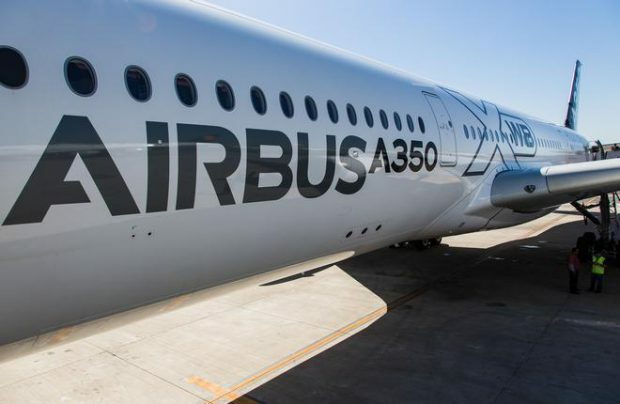 The airline then disappeared from Airbus’s A350-800 customer list as the OEM decided this version was not worth developing due to low demand. The carrier is planning to expand its order in the light of rapidly growing passenger traffic, which has resulted in improved development forecasts for the operator. On the other hand, Aeroflot has recently canceled its order for Boeing 787s, explaining that it will operate similar-class A350s instead alongside with its Boeing 777 fleet. Callegari explained that the A350s are meant to replace the carrier’s aging A330s, whose lease periods are coming to an end. According to Callegari, the airline expects to take delivery of its first A350 in late 2018, after the FIFA World Cup which Russia will be hosting.